This SNMP Card is compatible with Sigineer Power’s Remote On/Off Switch with LCD Monitoring Screen. It can be plugged to the RS232 port on the LCD remote side and integrates with our Winpower software to monitor the inverter status online. 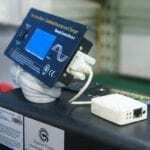 It allows remote monitor multiple inverters from anywhere with internet access. 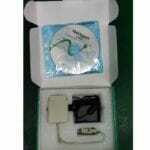 SNMP Card includes: a SNMP card, a power supply, a VCD.